After the success of last year’s performance of As You Like It, Shakespeare once again makes a welcome return to the outdoor stage at the castle in June, this time with the Bard’s most famous history play, Henry V.
The five-night performance, being staged again by Here To There Productions as part of the Ludlow Fringe Festival, will feature a professional cast and a set which is due to be the twice the size of last year's. 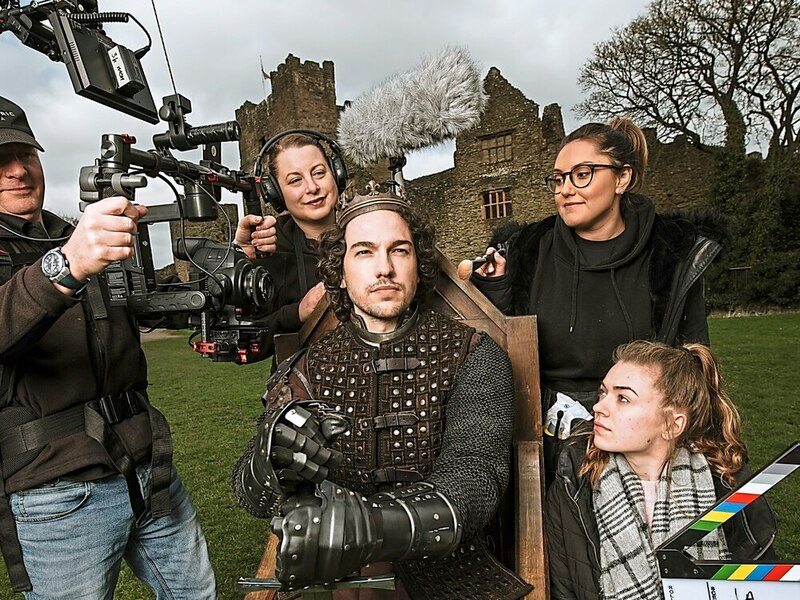 As with the previous production, Ludlow-based film company, Wild Edric Media, were on location at the castle this week shooting the trailer film with actor David Hubball, who takes the title role, which will be used to promote the event. Carl Walker from Wild Edric Media said: "We were once again thrilled to be filming at Ludlow Castle, which proved to be the ideal location to shoot Henry V, as this production is based firmly in the 15th Century. "It is a very dramatic piece, and with replica weapons of the period being used in the filming, the trailer film is set to blow people away and give them a taste of what they might expect to see on stage." The production will be performed in the Outer Bailey of the castle from June 24-28, and the series of trailer films will be available to see online and on social media.